A review website is a great way to earn passive income through blogging. Especially, in this technically advanced era where people are accustomed to checking the internet before actually going for a service or product. You can create a review website as an internet side business that can earn for you. Make money through affiliate commission or adverts. Because, once you get started, the possibilities are unlimited. Before we start with this guide on how to create a review website with WordPress, let’s understand what kind of review website you can create. A review website is generally created with the intent of earning affiliate commission. Basically, you can create any kind of review website with WordPress by following the steps described below. So are you ready to get started? To start off with your website, the pre-requirements are – A domain name and the hosting. There are so many companies out there that let you subscribe to hosting and offers domain names too. First, you should register a domain name. There are various domain name registrars you can opt for. The ones I prefer are NameCheap, GoDaddy, or Bluehost. Domain names should be chosen carefully because they represent your identity on the internet. It’s the permanent address to your website. To register a domain name, you will be asked to enter the domain name you wish to have and press search. The domain name will be assigned to you at a fixed price if it’s available (not already taken). If the domain name you’ve entered is already taken, you’ll be allowed to choose another one and check again if it’s available. In case the domain name is already taken, you can choose another variant of your name, or choose from the provided suggestions. First of all, you need to obtain a host. You can inquire about the best hosting services in your area based on your site’s requirements. Or you can go for Bluehost. Bluehost is our recommended hosting provider. 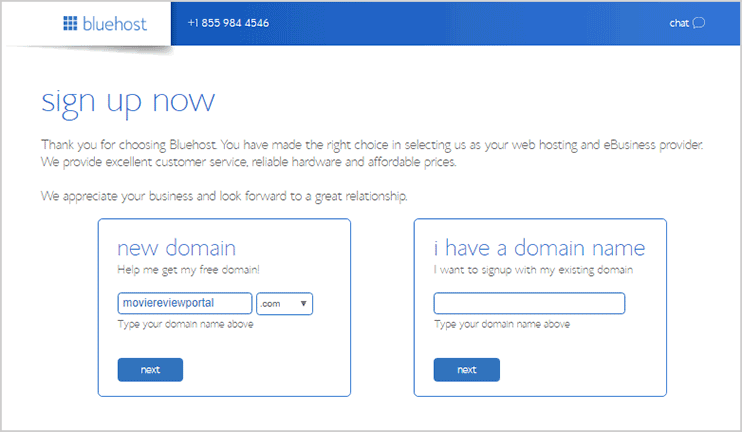 Read: Why we recommend Bluehost? For your review WordPress websites, there are many reasons to prefer Bluehost. Because it provides WordPress optimized hosting for WordPress.Their pricing packages are great too. You can choose the basic package for your review website. Because a review website is not as data intensive as a video or image heavy website. 3. Why do we choose WordPress for review website? Now that we have the domain name and host reserved, we have to decide upon the platform. 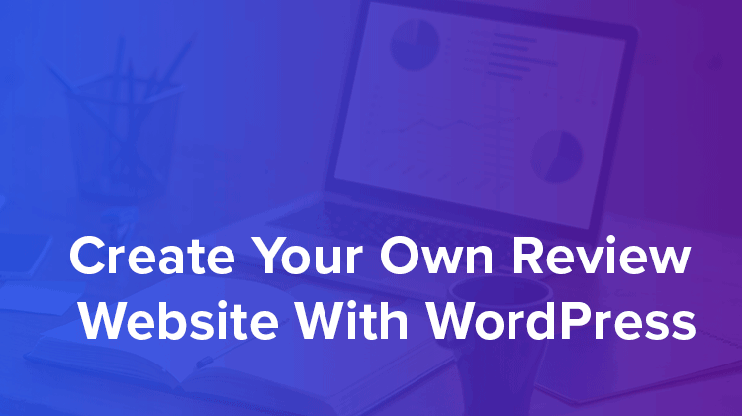 But as the title of the post already declares that we’re using WordPress for creating our review website, I’ll just mention how WordPress is the best for creating your review website. With the domain name and hosting ready, we’re all set to get started with our website creation. For creating our review website, we’ll first choose a review WordPress theme to create our website. There are a number of free and premium WordPress review templates available for creating your review website. For this tutorial, I will go for the Review WordPress theme. The theme is well-designed and very easy to use. So even if you’ve never created a website before and are completely new to WordPress and web development, it enables you to create your website effortlessly. Alternately, if you want to create large review website with front end submission allowed, you can use the Directory WordPress template with a number of monetization options. It allows you to create unlimited custom post types and kick start your review website. It allows you to create all the categories you want and post reviews of different products, or services under the relevant categories. Also, you can add or update the fields for your review post. 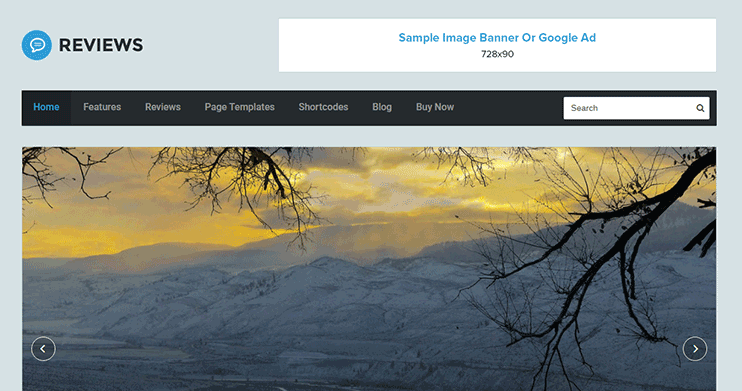 Get more niche specific WordPress premium themes here. The beauty of WordPress is its ease of use. 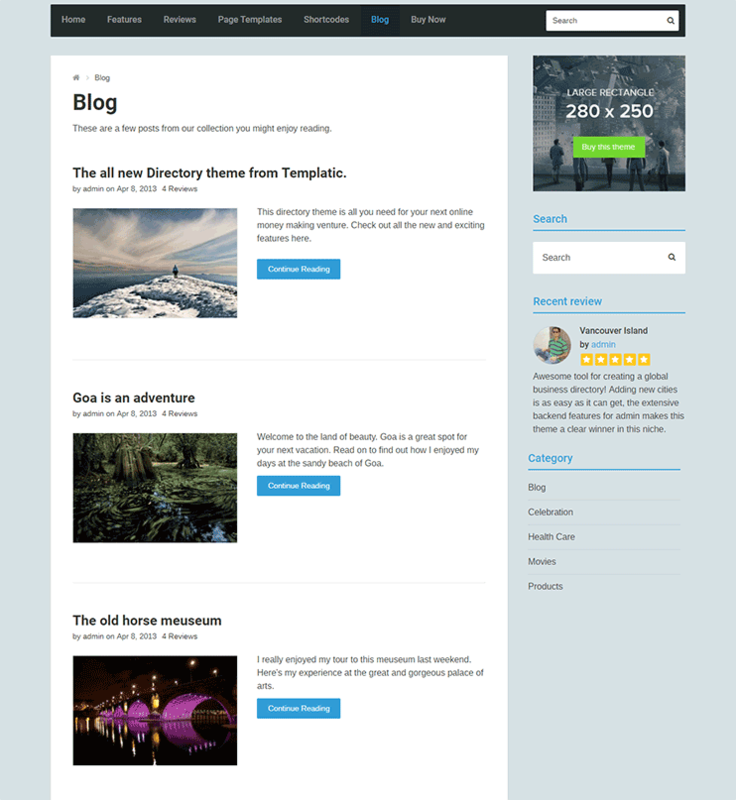 And thanks to the WordPress premium templates that come with all the built in features and intuitive options. So without ever tweaking a line of code, you can create beautiful, and feature packed website in minutes. To use the review WordPress theme, we will install it. Installing the review theme is really easy. We have a fully documented guide on how you can install and use the review theme for yourself. The guide comes with step by step instructions on theme setup and how to use different features of the theme. Now that we have chosen and installed the WordPress theme, our review website is almost ready. All you need to get started is a little bit of personalization. The first thing you would want to do after installing the theme is to change the branding of your website. You can do so by updating your own logo or setting the site title. If you already have a logo, you can easily place it into your website with the customization setting. Just upload the logo from your local computer and hit save. That’s all to it. Alternately, if you don’t have a logo, and you just want to display the site title in bold characters instead of it, you can set the site title as shown in the image below. Note: The theme guide contains in-depth explanation and detailed description of how you can change each setting of the theme. Once we decide to create a website for ourselves, we all have a perception of how it should look. 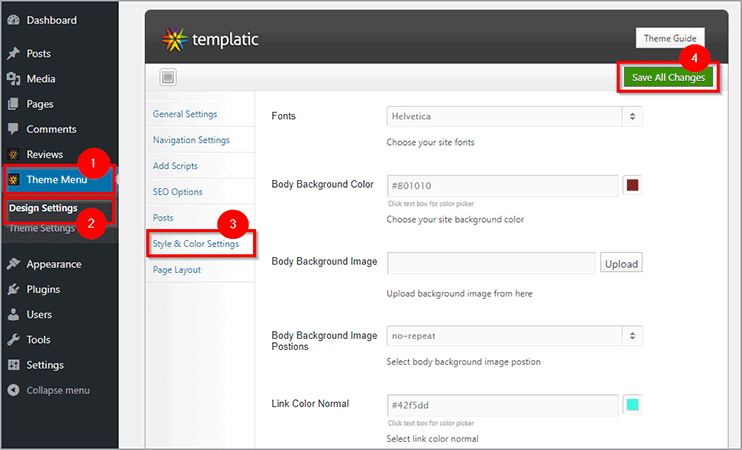 However, using ready to use templates, you can easily setup your website with the colors you want. The customization menu lets you choose the color with a color picker and make your website look the way you want. Besides color, you can even adjust the various elements of your homepage. For the sake of flexibility, the homepage of your website is all widgetized. So, you can adjust the homepage of your website by moving the widgets in and out of the widgets areas, just by drag and drop options. With the easy options available with review WordPress theme, you can create all the categories you want for your website. Suppose you want to create a location review website where you will review different movies. Here, you can have categories like – Historic movies, romantic comedies, animated movies, etc. Similarly, if you want to create a review website to review different locations, you can have categories like beaches, hill stations, etc. 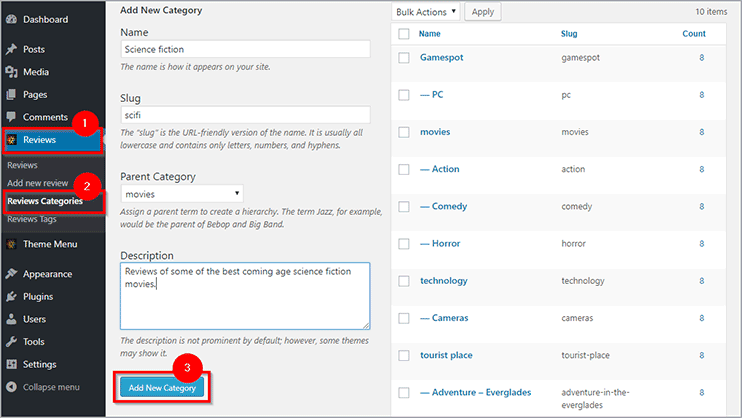 You can create as many categories you want as per your requirements. 5. Adding review posts to your website. Finally, we’re ready to add the review posts. Reviews in your WordPress review website will be available as a separate post type. You can adjust the fields available with the review post type using the custom fields settings. 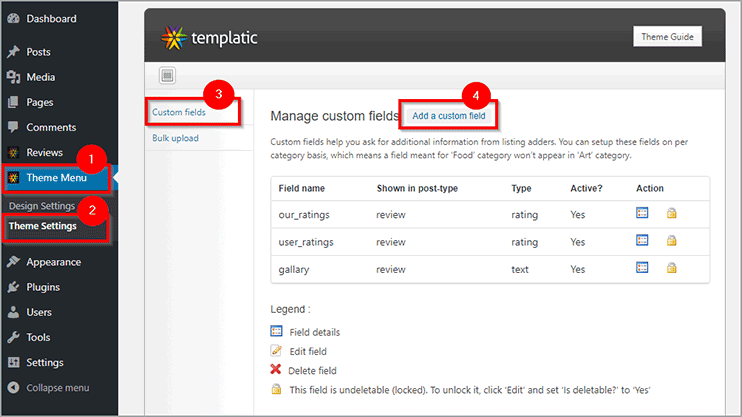 Custom fields setting allow you to choose the fields that you want for your review posts. The custom fields are the fields for your review post. The wizard shown below allows you to add, update and delete fields for the reviews post type. 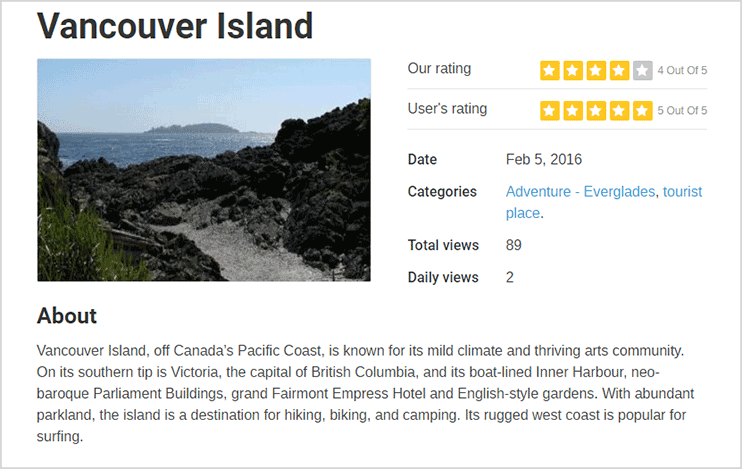 You can also allow guest reviews by accepting their content and posting it to your website. A very easy way to make money through your review website is by utilizing the ad spaces on your website. 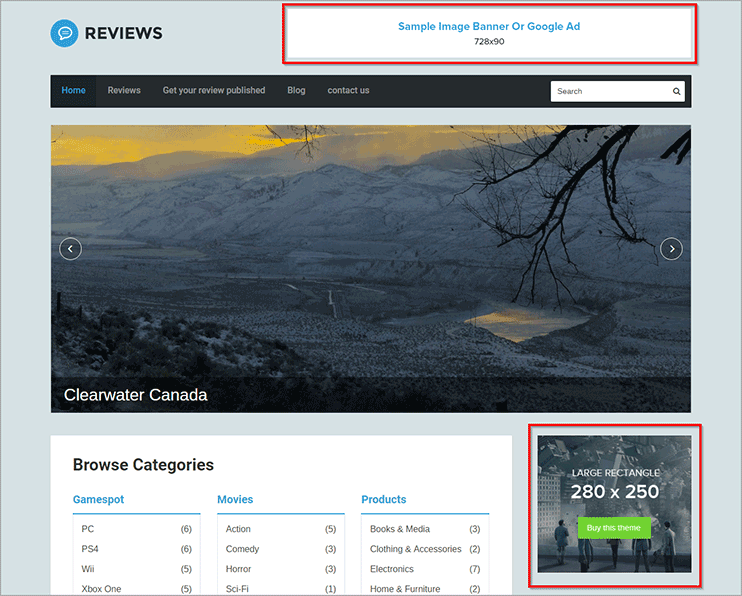 You can generate affiliate income by publishing reviews on your website. This does not necessarily mean that you have to post positive points for the products or service. When you are owning a review website, you should always make sure that the reviews you post on your website are not influenced. Always let the main aim of your review post be to help the people choose better. Some review website owners accept a commission for posting positive reviews of a product/service. This is not only an unethical practice, but it will ultimately leave your readers in ultimate disappointment. The viewers are smart and you can’t just cheat on them. Regardless of the review you post, the consumers are ultimately going to try it for themselves and know the truth. Displaying advertisement banners on your website is the easiest way to earn through it. It is the best way through which you can make money. And thankfully the review WordPress theme comes with the ready to use advertisement widget for the purpose. You can place the advertisement widget wherever you want – the sidebars, the footers, on the homepage etc. These advertisements can be of the products related to the videos on the site or anything. You can display multimedia advertisement using this widget. Ask the advertisements for their advertisement’s code and paste it into this widget. Also, if you wish to use services like Google Adsense, you can still paste the code into this widget to start displaying targeted advertisements. You can offer to advertise on your website at different prices. For the more prominent places on your website like the homepage or the submission page sidebar, you can charge more than that for advertising on the footer and sidebars. You can publish reviews and earn affiliate commission through your review. If the product or services that you review on your website has an affiliate program.You can, therefore, get a commission for promoting their products/services on your website. The businesses that want to be promoted on your review website will provide you with an affiliate link. The affiliate links are a little different than the general links as they provide the information on where the traffic is coming for. This way you can recommend the products and services and earn commission for the referred customers. One of the best ways to establish yourself as a writer, and to promote your review website is by posting guest posts at authority websites. By doing so, you can provide a link to your review website as a part of the author info. This is the simplest way through which you can attract the attention of a larger number of people and inspire them to visit your review website. The concept of content marketing is generating useful content to draw targeted traffic to your website. So the blogs and the content marketing strategies will really help you to attract increased traffic and market your products and services. Blogs on your review website can be for anything. You can use the blog section to make important announcements, or keep your visitors updated with upcoming reviews, or to introduce your guest authors, etc. So now you know how you can create your review website using WordPress. The monetization options also allow you to generate passive income through your website. These were a few tips for you to get started with your website. You can think of new innovative ideas, and implement it easily through WordPress. For feature enhancement of your WordPress website, you can even try out different WordPress plugins. And when creating your own review website is so easy and affordable, there’s no reason not to try it. So are you ready to create your own review website now? good morning, totally new to blogging and reviews. do you have any tips for a actual newbie as in just turning on computer. Like do I have to open a blue host and wordpress for everything i will do reviews on? I will do different items for review and add affiliate link. Getting traffic? thank you for all of your help and great tutorial.